@JDeBoyia is over your #RelationshipGoals. No, she is not hating; she just wants you to keep it real! Let’s be honest, all relationships are not goals simply because people often only show/tell you the good in their lives. There is more to being a wife or a husband than the rings, the cars, and the houses. Many relationships have challenges that you do not often see on social media. 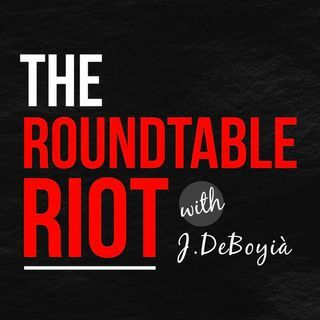 In this episode of The Roundtable Riot J.DeBoyia discusses what is behind the “iron curtain” of marriage with ... See More @mstierz of “The Crown Chronicles” Podcast and Shanta of the “Talk Allowed” and “In the Car” podcasts.